Remember that time Breitbart News smeared Shirley Sherrod with selectively edited video footage? That didn’t go so well, and destroyed the site’s credibility. … has posted a lengthy piece attacking Nordstrom, the luxury retailer that drew the president’s ire this week after announcing it would no longer sell Ivanka Trump’s clothing line. The piece, which alleges that Nordstrom really is stopping sales of Trump’s clothing due to political reasons, falsely claims that President Trump’s tweet attacking the retailer on Wednesday wreaked havoc on the company’s share price. “In response to Trump’s tweet — and the ongoing boycott of Nordstrom’s for the company’s political decision to cut Ivanka Trump’s line — Nordstrom’s stock tumbled on Wednesday,” the report claims. Although there was a brief dip on Nordstrom shares on Wednesday, the company’s stock actually closed up by 4 percent on the day, as shares quickly recovered from Trump’s purportedly devastating tweet. It astounds me that trump can claim that Nordstrom’s decision had anything to do with him. They didn’t get to be a successful department store by keeping crap merchandise that doesn’t sell in stock. This was purely a business decision, and as usual trump decides it’s all about him. It’s not. It never is. Breitbart — the media arm of the Trump Administration’s disinformation campaign. They are showing faux entertainment how it is done. What happened to that table with piles of blank paper where rump told us that this proves his is divested from his companies? And didn’t poor, mistreated Ivanka also claim to put someone else in charge of her clothing line? The bullsh!t just piles up. Well the pendulum has to swing back at some point. 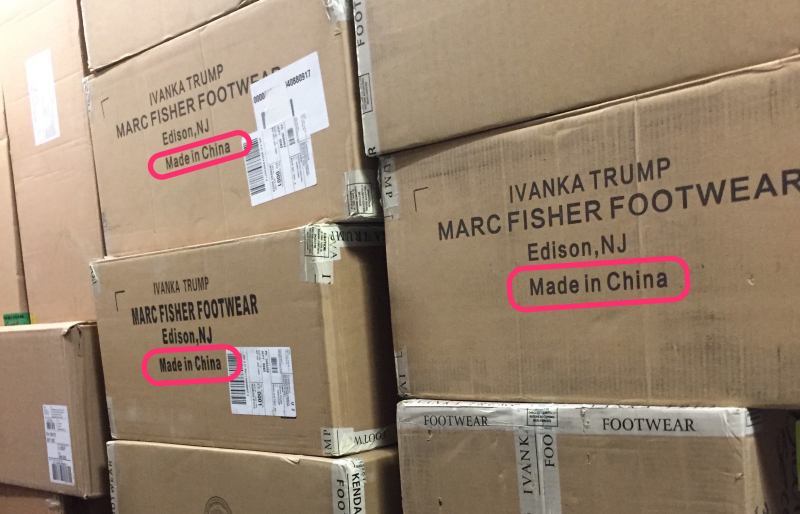 Ivanka Trump is no more than the middleman for Chinese made goods. The Wal-Mart of fifth avenue if you will. https://uploads.disquscdn.com/images/1bf9aed7833eeab29affb5d37a14d52b69a953b837d56cbd00ea9e7076414b16.png made goods. The Wal-Mart of fifth avenue if you will. Still think Trump is for the American worker … ?